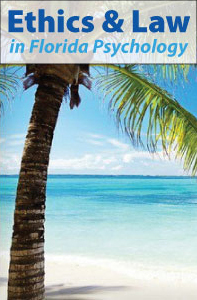 Alabama psychologists have an annual license renewal deadline of October 15th. To renew a license, the renewal form and associated fee must be mailed to the Board office and continuing education requirements must be met. 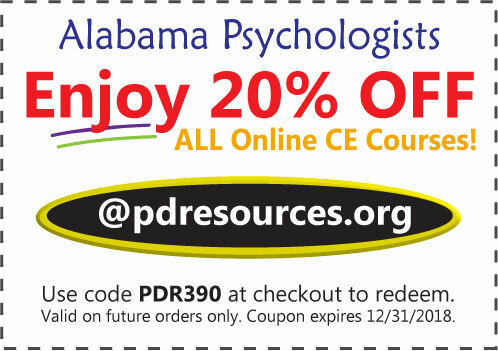 Alabama psychologists can earn all 20 hours required for renewal and save 20% on all online courses offered @pdresources.org. Over 100 courses available. Click here to view APA-approved online CE courses. Coupon valid on future orders only and is valid through December 31, 2018. The Board requires that all licensees report their continuing education credits throughout the year on the Continuing Education Individual Reporting Form. Credit will be given for continuing education activity submissions only if the required documentation is submitted to the Board office.